Originally published September 16, 2014: Sharing this recipe again from the archives to celebrate National Peanut Butter Day! My mom was always baking cookies- whether as an after school treat for me or to send in my Dad’s lunch. I’m pretty sure my Dad’s love language is frozen M&M cookies; and I can’t tell you how many days I came home to fresh, hot from the oven chocolate chip cookies. I think it’s funny that both my husband and my first born prefer savory to sweet, and neither of them are that impressed to come home to warm cookies. Let me just tell you, I was redeemed with my youngest though. Cookie was literally one of Sophia’s first words. Doesn’t matter what kind, she is my biggest fan. I have pictures of her sitting in front of the oven just (im)patiently waiting for them to finish baking. I hope this also means she inherited my love for baking. 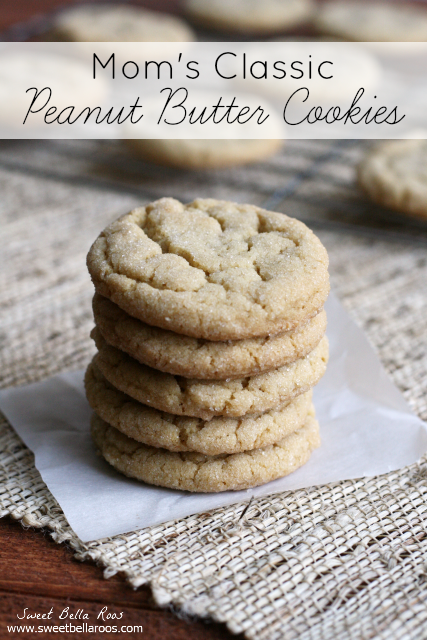 These Peanut Butter Cookies are classic, basically fool-proof, and just like Mom used to make. 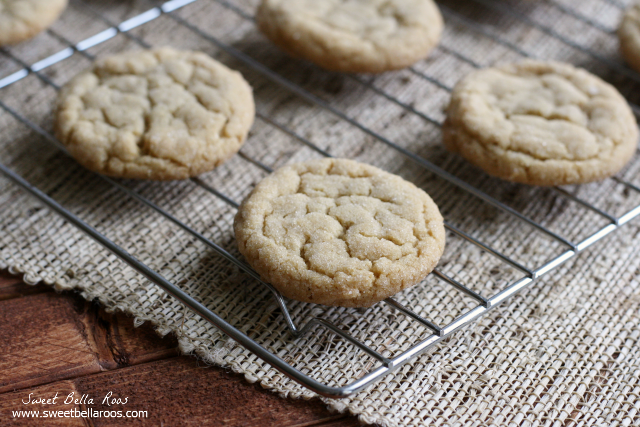 Classic Peanut Butter Cookies like Mom used to make! Beat butter, peanut butter, sugar, and brown sugar until creamy. Beat in egg and vanilla. In a separate bowl, whisk together flour, baking soda, and salt. Gradually add dry ingredients into creamed mixture. Place 1/4 cup sugar in a bowl. Use a small cookie scoop and drop a scoop of dough into the sugar. Coat in sugar and place on baking sheet lined with parchment paper or silicon baking sheet. •I didn’t roll them in sugar 👌🏽 and they still are SO yum!! Chewy and YUM! •Have been following your recipes for a couple of weeks now and so far they are all a hit at home 🌈 Thank You! So good! Grammy’s cookies are the best. Now I want PB cookies really bad! This recipes looks perfect for a super simple, but delicious cookie. I might throw in some chocolate chips cause I am a chocolate addict 🙂 Pinned!